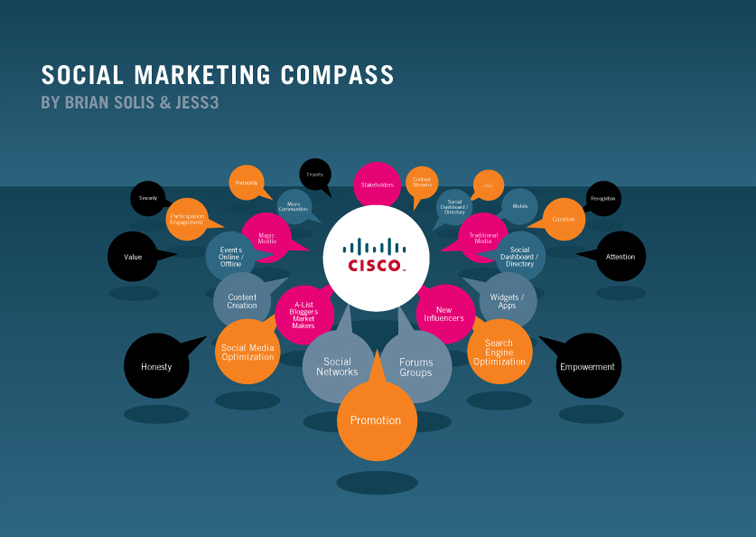 JESS3 teamed up with our longtime friend Brian Solis to create the Social Marketing Compass for his book, Engage: The Complete Guide for Brands and Businesses to Build, Cultivate, and Measure Success in the New Web. 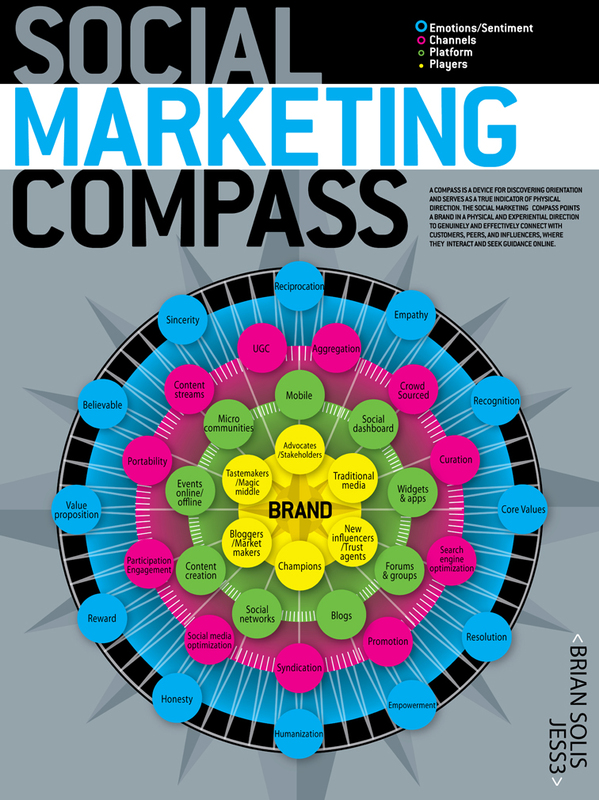 We used the traditional compass as the visual foundation, because like a compass indicates physical direction, the Social Marketing Compass indicates branding direction. 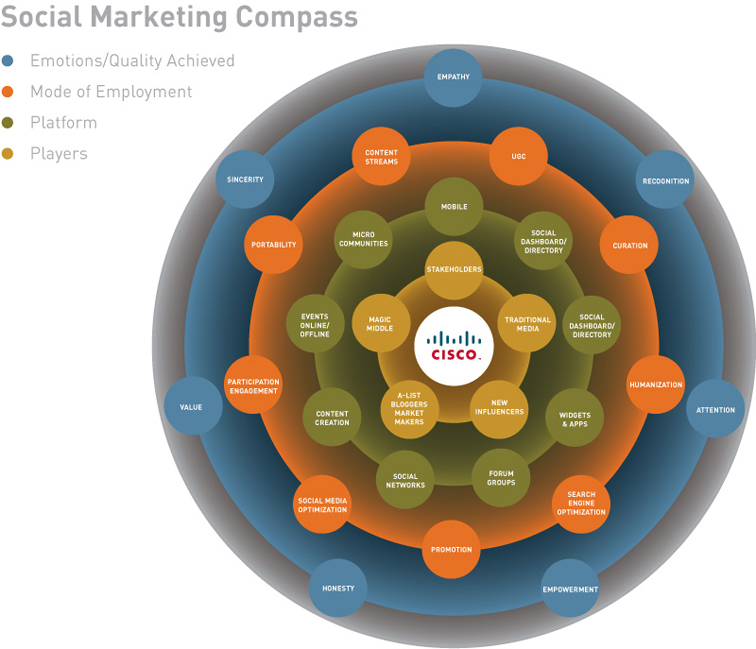 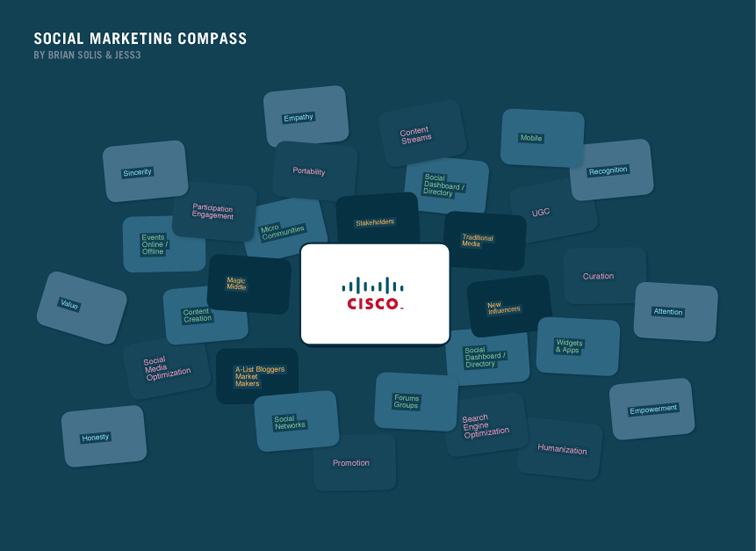 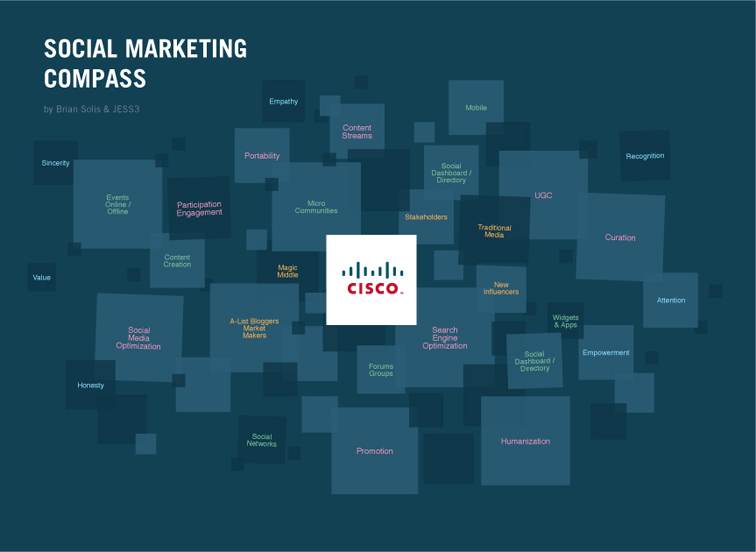 Providing frame of reference, correlating values, and direction, the Social Marketing Compass allows brands to reference and gauge their present and future online engagement, serving as a physical guide and measuring tool for interacting and effectively connecting online with customers, peers, and influencers.